Before understanding relative cell references, you have to understand cell reference in a formula. Say I have a formula like this ‘=B3*C3+D3’. In this formula there are three references, they are B3, C3, and D3. Every reference in a formula links with a cell in excel worksheet. In another word, every cell has a unique reference. 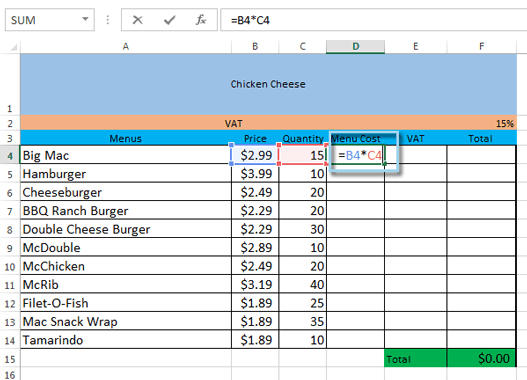 B3 can link to only one cell in the worksheet. There are two types of references in excel-relative references and absolute references. Relative and absolute references behave differently when they are copied and filled with other cells. If you use relative references in a formula, the formula will change if you copy the formula to another cell. On the other hand, absolute references will remain constant, no matter in which they are copied. By default, all cell references are relative references. 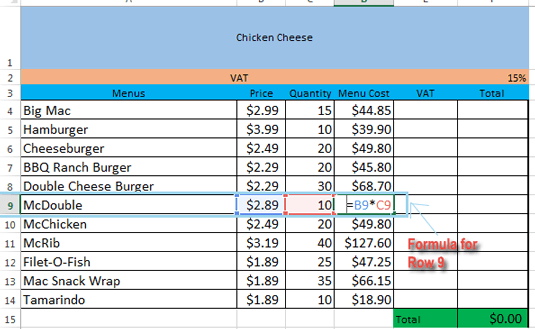 When you copy a formula with relative references in other cells, the references will change based on the relative positions of rows and columns. Say for example you have a formula like this: B4*C4+D4 in cell E4. Then E4=B4*C4+D4. If you copy this formula in cell E5 dragging AutoFill, then B4 will be B5, C4 will be C5 and D4 will be D5. One row down. What will be the references if you copy this formula(E4=B4*C4+D4) to cell F4? The formula will be now F4=C4*D4+E4. One column right. Relative references are convenient when you need to repeat the same calculation across multiple columns or rows. 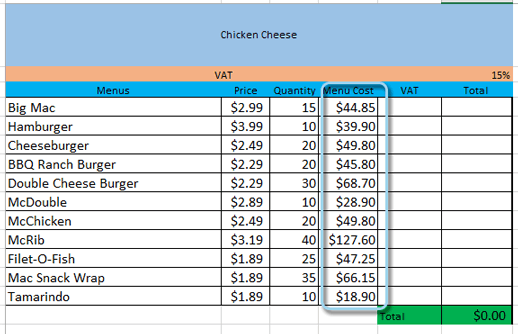 In our following example, we want to calculate Menu Cost(see the heading in the example) multiplying every menu’s price and quantity. We shall not create the formula for every cell, we shall create the formula for cell D4 and copy this formula to the other rows. Here we are using relative references. Now click the fill handle, hold it and drag over the cells you wish to fill. We are selecting cells D5: FormulaD14 in our example. Relative cell references in Excel. 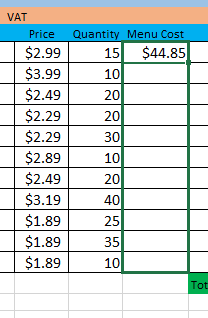 The formula is same, just the cell references have been changed with the row numbers. What is and How to Do Absolute Cell Reference in Excel?